When Laura Munson&#x2019;s essay appeared in the &#x201c;Modern Love&#x201d; column of The New York Times, it created a firestorm. Readers sent it to their friends, therapists gave it to their patients, pastors read it to their congregations. People everywhere were struck by Munson&#x2019;s wisdom. But how was she able to implement this strategy? How was she able to commit herself to an &#x201c;End of Suffering&#x201d; in such a critical time? 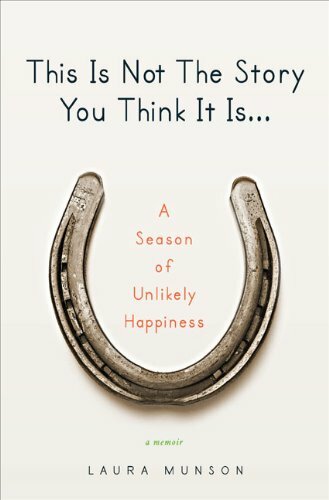 Poignant, wise, and often exceedingly funny, This Is Not The Story You Think It Is recounts Munson&#x2019;s journey. Written as she experiences her crisis, moment by moment, sometimes breath by breath, This Is Not The Story You Think It Is is raw and searingly honest in the very best sense. Munson takes listeners by the hand as they embark, together, on a journey &#x2013; one in which the outcome is not known. Filled with wisdom, truth, and heart &#x2013; and a great tomato sauce recipe &#x2013; it is a candid, powerful, and unforgettable memoir.